Louisville « Midlife Crisis Crossover! At left: astromech droid guts. 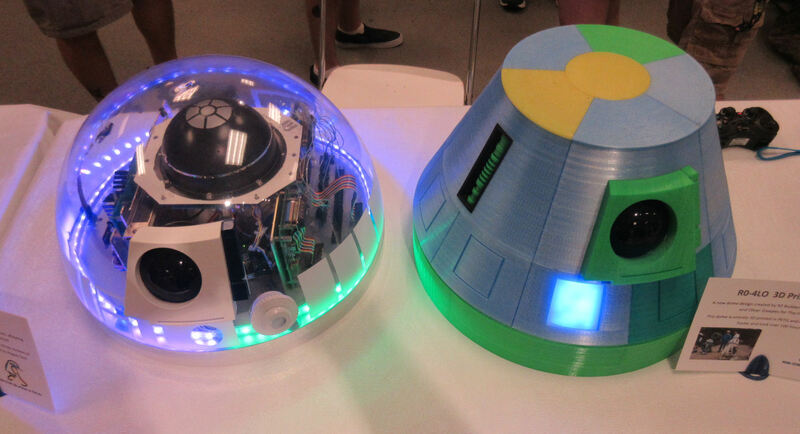 At right: droid head made from 3-D printer parts. Droid head tech has leapt forward parsecs since George Lucas’ day. 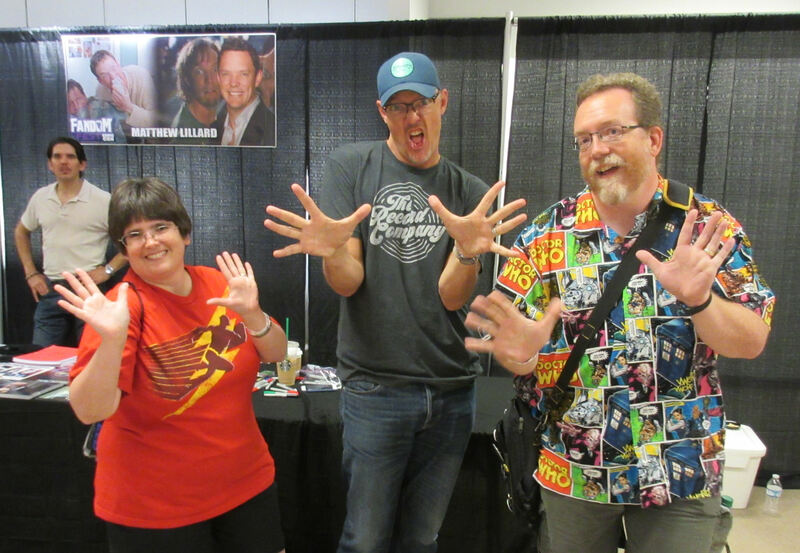 Previously on Midlife Crisis Crossover: last Saturday my wife Anne and I took a two-hour jaunt from Indianapolis to Louisville, KY, to check out FandomFest, the twelfth iteration to what some local fans consider the twelfth circle of Hell. I’d otherwise rather not rehash the prologue, Part One, or Part Two, so for anyone who didn’t read those entries or peruse the cosplay gallery, the TL;DR version is much of the weekend could’ve gone a lot better, but it wasn’t an irredeemable waste. Not everything we encountered Saturday seemed to fit neatly into the MCC FandomFest Trilogy. Before we return to our regular scheduled programming — by which I mean our 2017 road trip series and three backlogged movie entries, among the occasional digressions of my wandering attention — here’s a look back at three mini-galleries that didn’t involve talented cosplayers or the skeletal remains of Macy’s, Inc.
FandomFest 2017 Photos, Part 2 of 2: Cosplay! The Spectre, DC Comics’ renowned spirit of vengeance, bids you welcome to the land of the vengeful! But enough about that. Are you as tired of reading about FandomFest’s issues as I am of typing about them? If not, I totally understand and I hope one day true customer satisfaction will be yours without requiring a nasty blood vendetta against the Lochners. Until then: we got costumes! Lots of costumes! Fans do love the cosplayers and their cosplay. Backroom shenanigans or not, dozens of cosplayers sported their finest duds this weekend and did what they could for the sake of convention quality-of-life and their favorite characters. Enjoy! Ladies and gentlemen, Matthew Lillard! You might remember him from such films as Scream and Scooby-Doo! He’s a party! “…and that’s why I say Louisville CANNOT STAND for this grave injustice one moment longer!” I bellowed into the Q&A stage microphone. The crowd of righteous, wronged fans cheered me and waved their Funco Pops in the air while a pair of Louisville detectives escorted the owners of FandomFest away in handcuffs, ankle cuffs, and scarlet letter Rs (for “ripoff”) spray-painted on their thousand-dollar suit jackets. At last, all the sins of these unrepentant hucksters stood exposed and would be held accountable. Justice would soon be ours thanks to the newly instituted Department of Geekland Security. I passed the mic to the nearest Colonel Sanders cosplayer, who had been hastily appointed the convention’s interim chairman in accordance with Kentucky convention regulations. Next to him stood a six-foot tall KFC bucket because of course it did. He shook my hand and faced the crowd. The applause and roars and whistles reached ear-shattering decibel levels, a standing ovation rivaling any ever endured at the Oscars. And just when we thought we fans couldn’t explode any harder, a pair of hands burst through the giant paper chicken bucket and waved at everyone. Out of the mega-bucket climbed an enthusiastic Weird Al Yankovic. He’d come after all, cleverly disguised as food. We should’ve known. Weird Al took the mic from the Colonel, summoned his band out from behind the nearest support columns, and proceeded to play a free three-hour greatest hits dance-party concert, followed by unlimited photo ops and autograph signings that lasted well into the night. …okay, so FandomFest didn’t turn out exactly as I’d imagined. 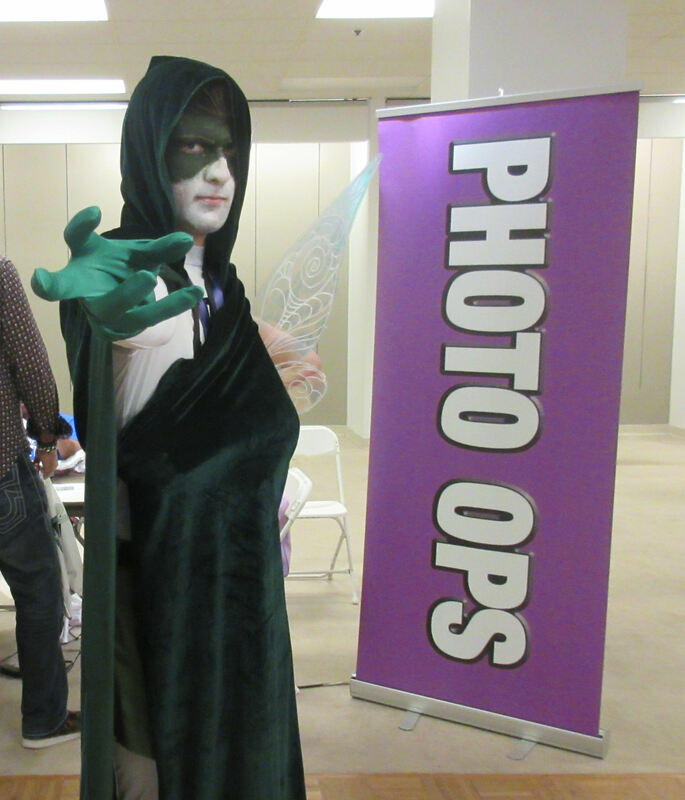 Louisville’s FandomFest: Con or Con? 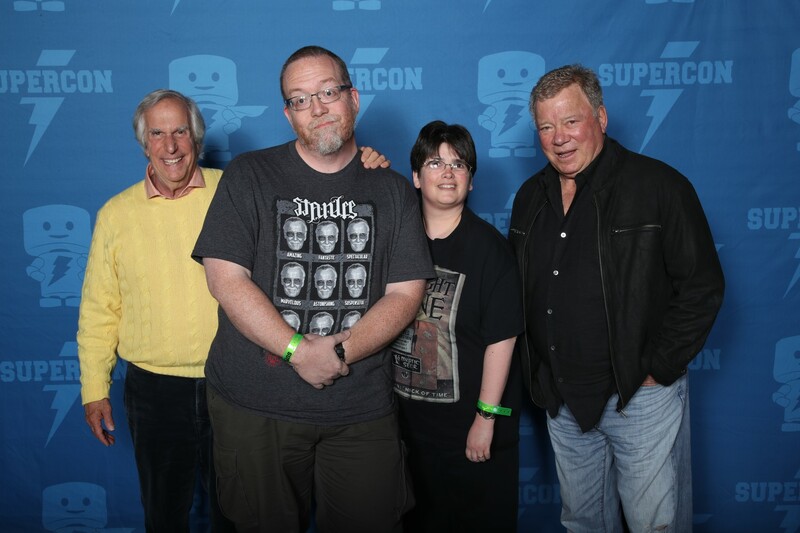 Last year around this time, my wife Anne and I had been discussing the possibility of investigating geek conventions in other states beyond our own Indiana besides just fabled Chicago. In recent times we’ve since enjoyed successful outings to Ohio and Michigan, and continue keeping an open mind on future opportunities within reasonable driving distance, or within reasonable flying distance if someone wants to pay our way. It’s in that spirit of out-of-state geek adventure that we bought Saturday advance tickets for this coming weekend’s FandomFest, the largest recurring comic/entertainment convention in Louisville, Kentucky. Before setting any of this entry into print, I asked my wife Anne whether she would prefer I refer to us as “idiots” or “suckers”. She suggested “hopeless optimists”. Whichever sounds right to you, here we are with weekend plans for which we are presently bracing ourselves for stress and failure. But the important thing is we’ll be miserable and angried up and disgustipated together. 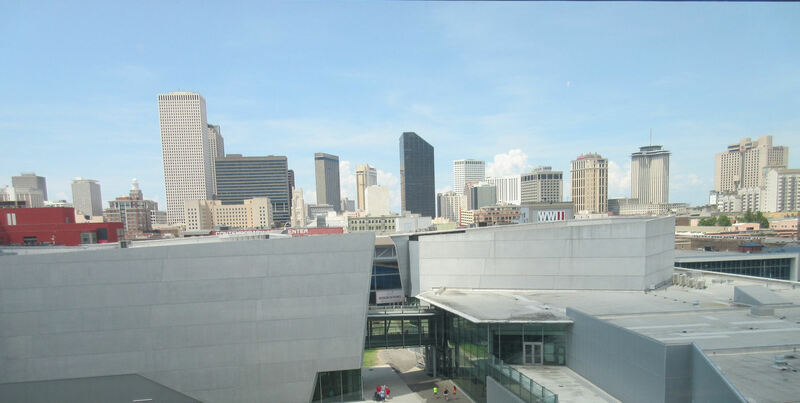 The New Orleans business district skyline as viewed from the fourth floor of the National WWII Museum’s Boeing Center. At left, one of the exhibit halls; at right, the theater where we watched Beyond All Boundaries. Throughout our drive from Indianapolis to New Orleans and back again, my wife took pics of each major metropolis as we passed through them. During our walks and our detours we found a few other neat vantage points that let us gaze upon these cities and wonder if the life bustling along their streets is that much different from our own. In most cases probably, but it was fun to contemplate. Right this way for a few shots on the road and the sight that greeted us at home!